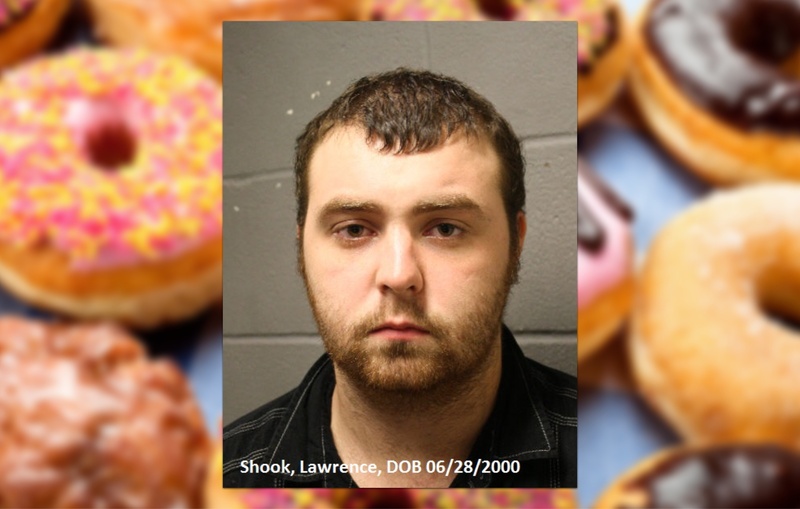 Spring, Texas – June 20th, 2018: On Tuesday,deputies with Constable Mark Herman’s Office responded to the Dunkin Donuts located in the 6100 block of FM 2920 Road in reference to a Robbery. Deputies were advised that a store employee arrived to work, observed damage to the front door and spotted a male suspect inside holding a crowbar. The employee confronted the suspect and a brief struggle ensued until deputies arrived. Constable Deputies quickly detained the male and identified him as Lawrence Shook. Shook was found to be in possession of cash and property stolen from the business. All stolen property was returned. The employee sustained minor injuries from the crowbar during the struggle but is expected to make a full recovery.